Loose Leaf Tea There are 4 products. The English Breakfast Tea in the Luxury Blends series is enigmatic for the mornings. It contains higher levels of Anti-oxidents than its counterparts and is dripping in health perks. So try our English Breakfast Tea to find out why it is enduringly loved. 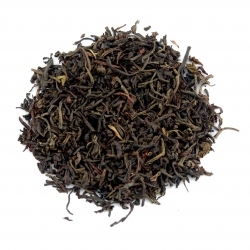 The Earl Grey from Luxury Blends is a Pure Ceylon Tea Flavoured with Bergamot and Corn Flower. It yields a slightly smokey finish with medium tannin. Ideally to have after a sweet desert. 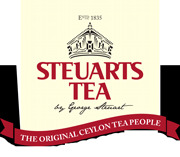 A unique blend of the finest teas from the highlands of Sri Lanka mixed with a hint of vanilla. 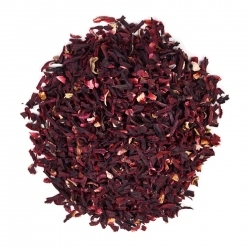 Loose leaf Steuarts Tea - Pure Hibiscus is made from the infusion of deep magenta-coloured calyces of the flower roselle (Hibiscus sabdariffa). Very popular for health benefits such as lowering high blood presure.